or any other characteristic protected by federal, state or local law. Have you ever worked for Architectural Cast Stone before? If the position requires you to drive, do you possess a valid driver’s license for this state? 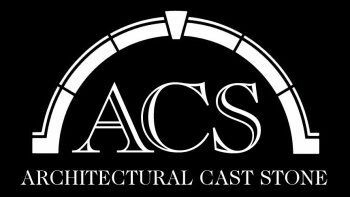 Are you related to any staff member currently employed by Architectural Cast Stone? Have you served an apprenticeship or internship? List your last three employers that you have been with for the past ten (10) years. Example If you have been employed with your last employer for 6 years and then one before that for 4 years, then list only those two employers. Start with the most recent. Include any military experience. Explain any gaps in employment in the comments section at the bottom of the page. Comments or additions to any of the information given above. REFERENCES List name and telephone number of three business/work references who are not related to you and are not previous supervisors. If not applicable, then list three school or personal references that are not related to you. List any other names that you have used while in past employment or education. Have you been convicted of any felony crime within the past seven years? If Yes, please provide dates of convictions and sentences (if any) on the back of this form. Note Any such conviction may be relevant if job related, but does not automatically bar you from employment. Where did you learn about the job opening you are applying for? Please read the following before signing your name at the bottom of the page. 1. I certify that the information required from me in this application is true and complete to the best of my knowledge. I understand that omissions or misrepresentations of facts called for shall result in disqualification of my candidacy, or if discovered after hire, shall result in discharge. 2. I authorize Architectural Cast Stone and it’s agents to investigate all statements contained in this application. Furthermore, I release Architectural Cast Stone, and it’s agents from all liability for any damages resulting from such investigations. 3. Additionally, in applying for a position that may involve driving a company vehicle, I specifically authorize Architectural Cast Stone, and its agents to obtain from the registry for Motor Vehicles, a copy of my vehicle driving record. I understand and agree that any serious traffic offenses or combination of traffic offenses whether a result of the job activities of operating privately owned vehicles may disqualify me from employment or continued employment. 4. If required I agree to undergo a drug screen test prior to employment with Architectural Cast Stone. I understand that additional drug screen tests may be required from time to time, whether under resonable suspicion or for cause, during my employment with Architectural Cast Stone. Failure to comply with a request for Drug Screen Testing may be ground for dismissal. 5. I agree to abide by company rules and procedures for respirator use, hearing protection, safety glasses etc. as prescribed by OSHA. 6. Application must be completed in its entirety, including previous employer and salary history to be considered for employment. No supervisor, manager, or executive of Architectural Cast Stone has the authority to change the forgoing without prior written consent of the president of the company. I hereby CONSENT to allow Tyler Medical Services to take a specimen of my urine or blood and submit it for a pre-employment, reasonable suspicion, and post-accident drug test screening. I FURTHER CONSENT to allow the laboratory testing service to make the results of such screen available to the prospective or current employer, Architectural Cast Stone. In consideration for such services being rendered on my behalf, I hereby RELEASE the laboratory testing service, its officers, agents, and employees, from any and all claims which I might otherwise have due to such results being made so available. I hereby CONSENT NOT TO FILE ANY ACTION at law or in equity against Architectural Cast Stone, the laboratory testing service, their respective officers, agents or employees in connection with the results of such screen being made so available, and I hereby agree to INDEMNIFY and SAVE HARMLESS Architectural Cast Stone, the laboratory testing service, their respective officers, agents, and employees from all damages, expenses, reasonable attorney's fees, and costs of court which they or any of them may suffer or incur, jointly or severally, due to the results of such screen being made so available. PRE-EMPLOYMENT: Drug testing occurs after a conditional offer of employment has been extended to a candidate. Architectural Cast Stone reserves the right to withdraw offer if test yields a positive result. D.O.T. REGULATION: Architectural Cast Stone administers drug testing to all drivers in accordance with the United States Department of Transportation drug and alcohol regulation 19 CRF 655.4. POST-ACCIDENT: Drug testing is triggered by a work related incidents that involve: fatality; emergency medical care; or damage to vehicles or property above $500.00 threshold amount. REASONABLE SUSPICION: Drug testing is conducted when a supervisor or manager have observed symptoms that give reason to believe or suspect an employee has engaged in the use of drugs or alcohol, or in the event that safety is a concern. Furthermore, Architectural Cast Stone reserves the right to protect the reputation of Architectural Cast Stone and its employees, and to reduce problems relating to carless, reckless, or unsatisfactory matters related to job performance for all positon company wide. Employees who are suspected of drug use may not return to work until Architectural Cast Stone has received the results of the reasonable suspicion testing. SAFETY SENSITIVE: A job or position where an employee’s job function requires them to be responsible for his/her own safety or the safety of others. Positions that are safety sensitive would be considered dangerous if such an employee was using drugs or alcohol while on job. Examples include, but are not limited to; employees operating any equipment or employees who are around any equipment. Therefore, employees in safety sensitive position have to have clear mind and be diligent while occupying such positions. Architectural Cast Stone is committed to maintaining a safe, drug-free working environment for it employees. Any questions regarding this policy should be directed to our Human Resource Department. Jon applicant: Fill in the lines below and check any boxes that apply. Complete only this side. 1. Check here if you received a conditional certificate from the state workforce agency (SWA) or a participating local agency for the work opportunity credit. *I am a member of a family that has received assistance from Temporary Assistance for Needy Families (TANF) for any 9 months during the past 18 months. *I am a veteran and a member of a family that received Supplemental Nutrition Assistance Program (SNAP) benefits ( food stamps) for at least a 3-month period during the past 15 months. *I was referred here by a rehabllitation agenacy approved by the state, an employement network under the Ticket to work program, or the Department of Veterans Affairs. *I am at least age 18 but age 40 or older and I am member of a family that: a Received SNAP benefits (food stamps) for the 6 months, or b Received SNAP benefits (food stamps) for at least 3 of the past 5 months, but is no longer eligible to receive them. *During the past year, I was convicted of a felony or released from prison for a felony. *I received supplemental security income (SSI) benefits for any month ending during the past 60 days. *I am a veteran and I was unemployed for a period or periods totaling at least 4 weeks but less than 6 months during the past year. Check here if you are a veteran entitled to compensation for a service-connected disability and you were discharged or released from active duty in the U.S. Armed Forces during the past year. Check here it you are a veteran entitled to compensation for a service-connected disability and you were unemployed for a period or periods totaling at least 6 months during the past year. Under penalities of perjury, I declare that i gave the above information to the employer on or before the day I was offered a job, to the best of my knowledge , true, correct, complete.